You can automatically notify each Broker or Customer about the pickup and delivery of the load by enabling it inside the settings page. This will allow you to focus on more productive tasks for your company instead of giving status updates all day long. From now on Brokers and Customers will receive an email for every load that has been picked up and delivered. Remember that you MUST have an email address listed in the Shipper/Customer section of the order. 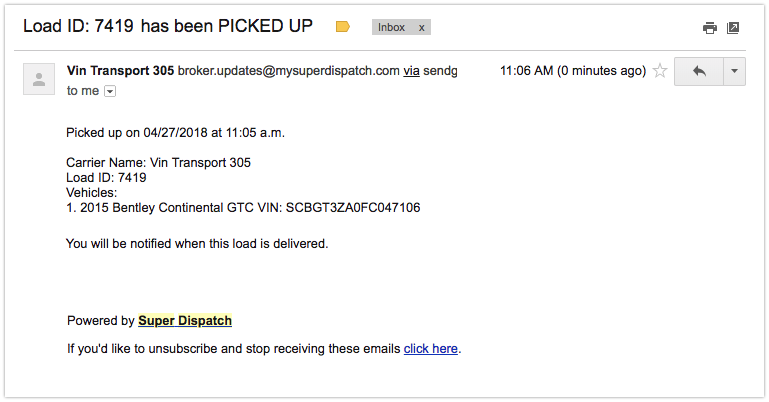 If you are Super Dispatch Mobile App only user, please contact support in order to enable this feature. We will gladly take care of it for you. If any particular Broker or Customer wishes not to receive those updates anymore, they can easily unsubscribe from notifications by clicking on the link inside those emails. 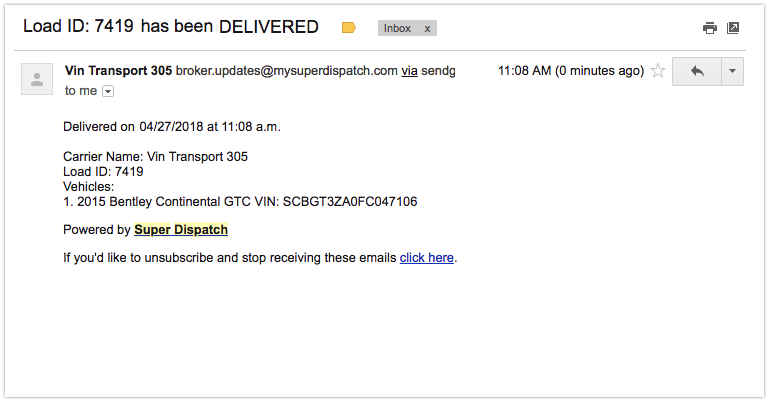 Once they unsubscribe they will not receive any broker updates from Super Dispatch.